Fits 2015-2016 Dodge Charger R/T with 5.7L V8 engine. 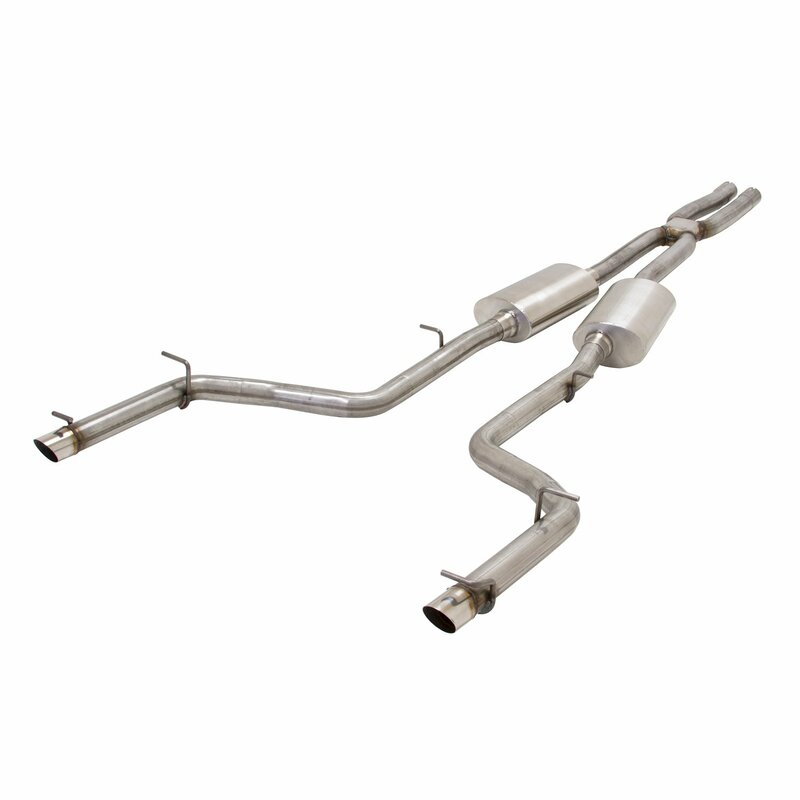 This is a Hurst branded Cat-back system for the 2015-2016 Dodge Charger R/T with the 5.7L engine. It provides an incredible, moderate/aggressive sound level that matches the performance image of these true muscle cars. 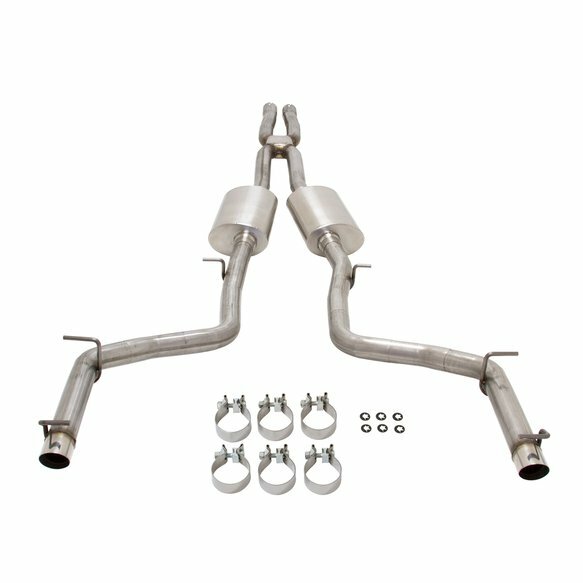 Features 2.50 inch, 16 gauge mandrel bent tubing that clamps to the factory catalytic converter outlets and runs through a compact high flow X-Pipe assembly. 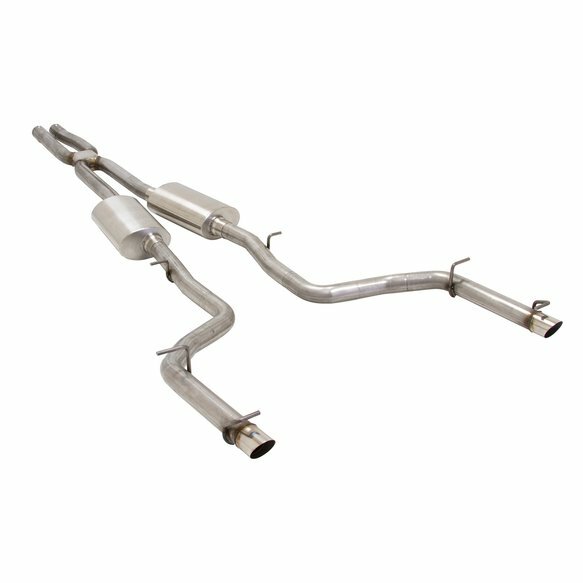 The mufflers are a specially engineered design featuring a straight through 3 inch core, all neatly wrapped in a compact oval case. Constructed with durable stainless steel material with brushed satin finish. The rear bumper on this vehicle has integrated exhaust bezels. The tips are 2.50 inch angle cut and exit within the bezels so the tips are somewhat hidden. The system is covered by a Lifetime Limited Warranty.